The types BT and BW are specifically designed with a 10 degrees sloping nose. 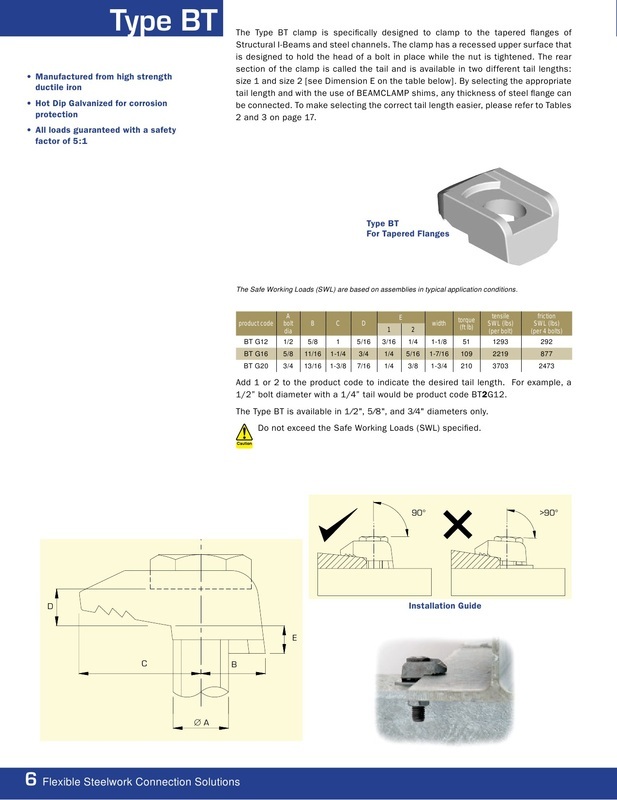 This sloping nose makes them ideal for clamping on to tapered steel such as IPE's or crane rail sections. 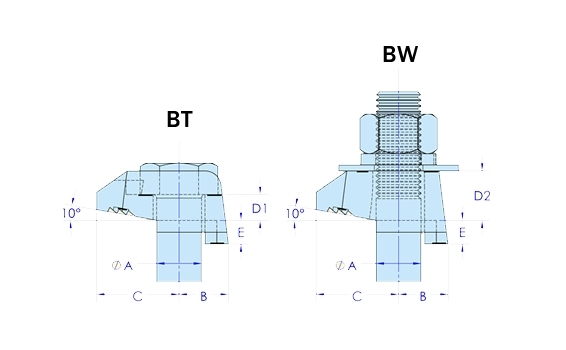 The type BT has a recessed top to captivate the head of a grade 8.8 setscrew or bolt. The type BW has a flat top to allow a nut and washer to be tightened down on it. Both clamps are available with two tail lengths, 1 or2 (dim E). This should be as near to the thickness of steel it is clamping to or slightly less if an exact match is not possible. Packing pieces BF1, BG1 and BH1 can be used in combination with the tail length to achieve a match to the steel flange. 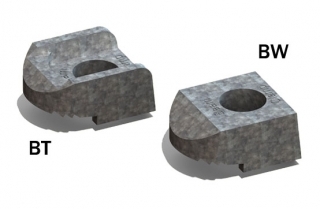 The types BT and BW can also be used on their own if one piece of the steel has been pre-drilled. 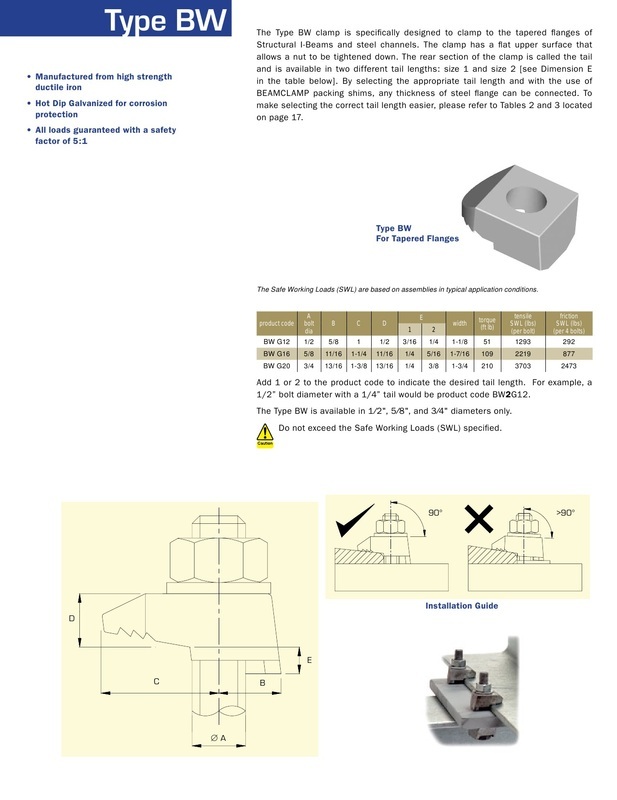 To simplify the selection of tail lengths and packing pieces, please see our selection tables in our resources area.